Red for Ed Spreads to Chicago Charter Schools | Fight Back! 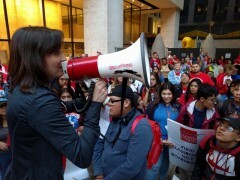 Namaste Charter School clerk Myrna Salgado Romo addresses the crowd while CTU President Jesse Sharkey looks on. Chicago, IL - Nearly 500 teachers, students, parents and allies gathered at the Chicago Board of Education, Sept. 26, to call for equal pay for equal work for charter school educators. “We fought for and won a large increase in state funding for education in Chicago, but in our schools most of that money was pocketed by charter operators and not put into their classrooms,” said Chicago Teachers Union Charter Division Chairperson Chris Baehrend. It is no secret that the charter school industry was established to break unions, drive down wages and enrich a chosen few. 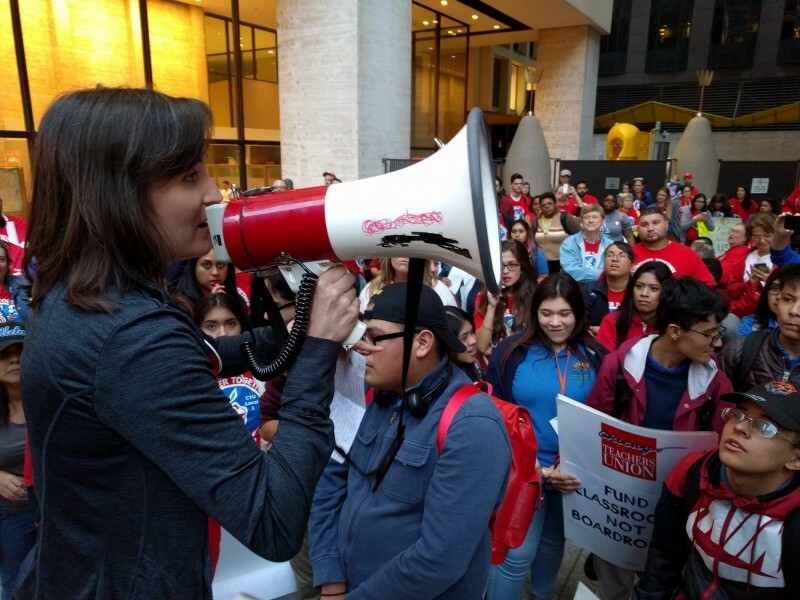 “It’s the story of one political deal between boss and elected official after another,” said Baehrend, “at the expense of our students.” The union in Chicago has been successful at organizing about one third of the charter industry. They have lined up 11 of their twelve contracts to expire this autumn. The union members are looking to move the whole industry to a standard equivalent to district employees. Many at the rally expressed a willingness to strike if necessary. 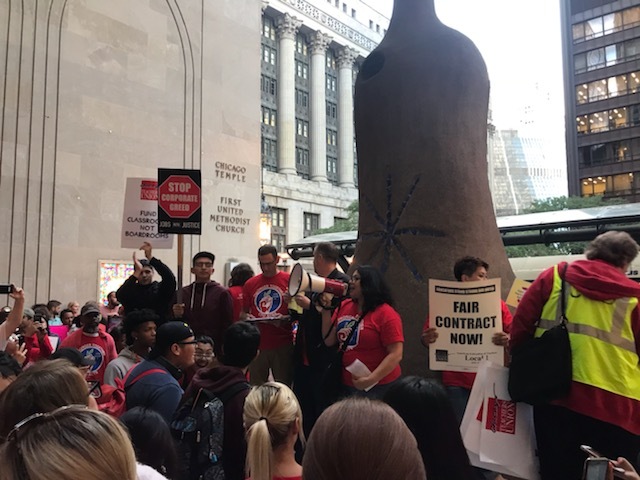 “This is a unique opportunity, due to hard work by CTU charter school leaders over many years to align contracts, not just to raise standards in the charter sector, but to notch wins on class size, work day, and benefits that will give us power to get the same wins in the Chicago Public Schools contract,” said CTU President Jesse Sharkey.